Since the client builds “works of art,” the Agency’s Brand Architects® landed on the idea of creating a portfolio of home photos, interiors and exteriors, that showed the intricate detail and symmetry that goes into every one of their residences. Every photo was carefully selected in order to articulate a united piece using singular parts that were precise and distinct in relation to one another. 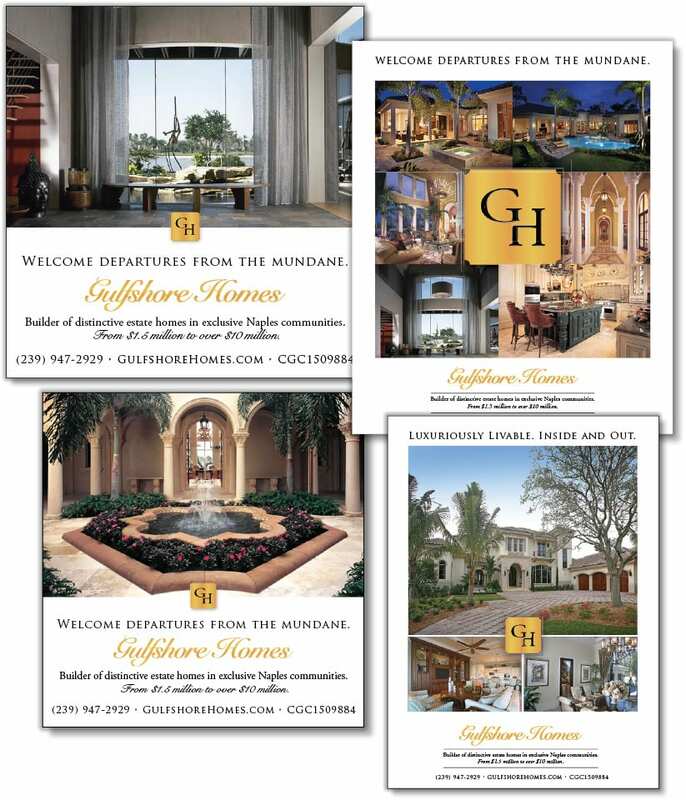 Each portfolio was a composition of a signed, limited-edition print portrayed in a 24-inch by 20-inch package featuring a gold plate with the Gulfshore Homes logo on the front cover. 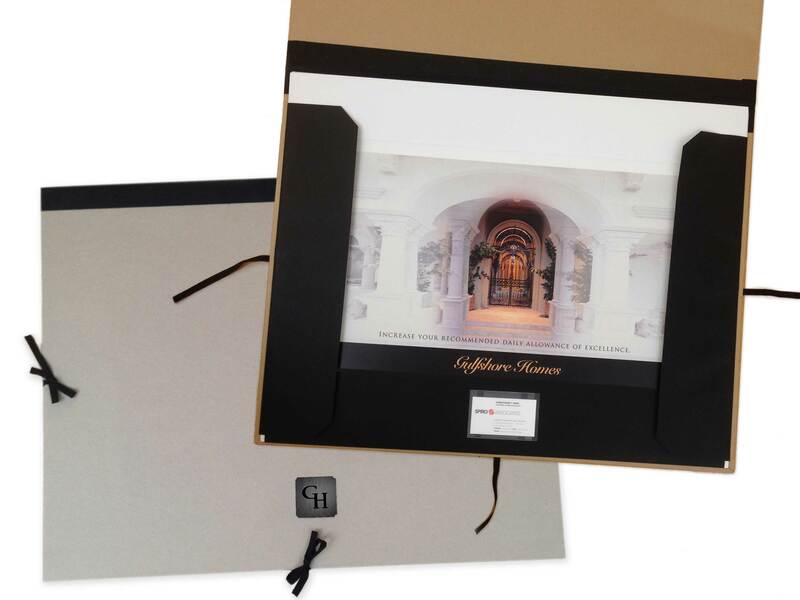 A smaller boutique portfolio using the same images and other graphical treatments was also created and delivered to other company officials who had not yet relocated to Southwest Florida. 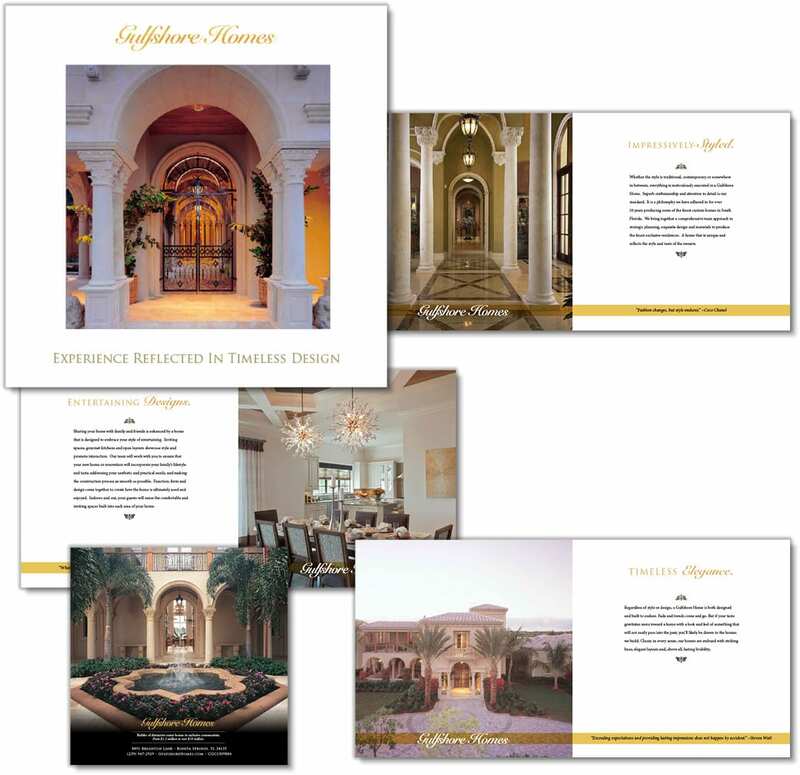 It is important to note the laser-focused target market for these brochures: just a few, select company executives received a brochure in order to build in an air of exclusivity for those top prospects. 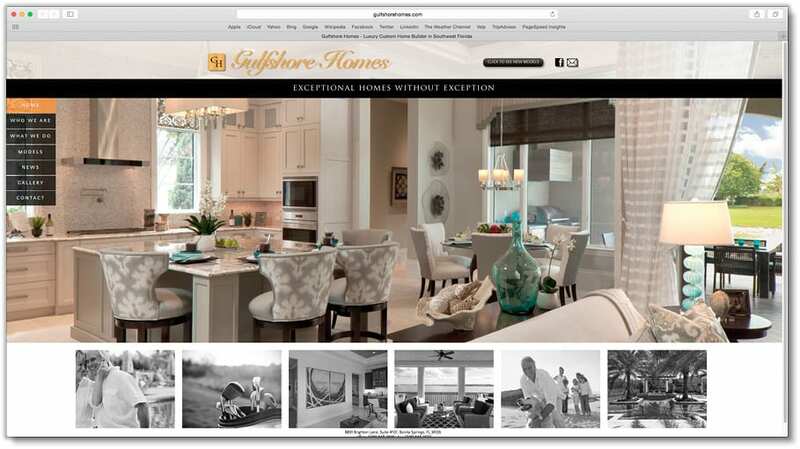 For this project, the Agency also took the opportunity to update Gulfshore Homes’s logo and refresh the website look, feel, photos and navigation.